Emmakal: Wisdom Teeth: Do Yours Need to Come Out? Wisdom teeth are the third set of molars that can often cause significant problems for their owners. Wisdom teeth typically come through during the late teens or early 20s and although some people will find their arrival is uneventful, it certainly isn’t the case for everybody. The main issue with wisdom teeth is that they come through into a jaw where all the rest of the teeth are already firmly established. Often there is simply not enough room for these teeth to come through correctly aligned and without affecting your existing teeth. This means that wisdom teeth can become stuck or impacted underneath other teeth. Sometimes they will partially erupt remaining partly covered by the gum tissue. Partial tooth eruption brings about its own particular set of problems as a partially covered tooth can be tricky to keep clean, trapping bacteria and food which increases the risk of infection and decay. The situation is made worse by the position of wisdom teeth right at the back of the mouth where they are already difficult to brush and floss thoroughly. It’s also possible for wisdom teeth to try to erupt sideways through the gums. How Can I Tell If I Have Wisdom Teeth or If They Are Going to Cause Problems? If you visit your dentist regularly then they will have kept a close eye on the development of your wisdom teeth. All dentists periodically take dental x-rays as a way of assessing your overall dental health and to see any problems that may be occurring beneath the gums which include the positioning of your wisdom teeth. If your dentist can see your wisdom teeth are improperly aligned, they may recommend you have them extracted before problems can develop. Alternatively, they may choose to wait and see rather than to immediately suggest their removal. However, if your dentist has told you there is no hope of your wisdom teeth coming through properly it’s worth getting them removed sooner rather than later. It is easier for dentists to remove wisdom teeth in younger people where the tooth roots are not yet fully developed and where the jawbone isn’t quite so dense or has become bonded onto the tooth. 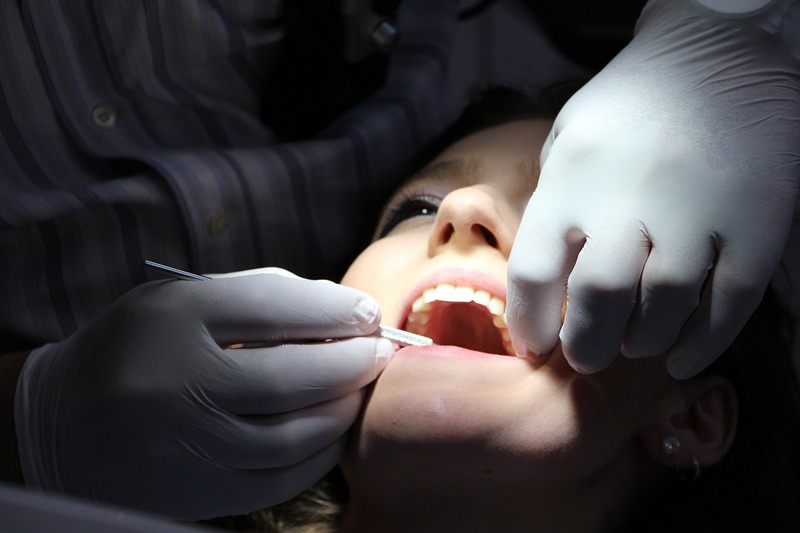 If your wisdom tooth removal is likely to be very straightforward then your dentist can almost certainly carry out this oral surgery for you. However, if your wisdom tooth is firmly embedded underneath another tooth or in the jawbone, your dentist may choose to refer you to an oral surgeon for a proper evaluation. An oral surgeon will be highly experienced in removing wisdom teeth and can do it quickly and hopefully quite comfortably. Often a wisdom tooth that is tricky to remove will be extracted in several pieces as this minimizes the opening that needs to be made into the jawbone and in your gums so healing is quicker. What to Expect during Wisdom Tooth Removal? Whether your wisdom teeth are to be removed by your general dentist or by an oral surgeon, you can rest assured that your tooth will be properly numbed so you will not feel a thing. If all four wisdom teeth are to be removed at the same time, and if the procedure is likely to be at all complex your dentist or surgeon may recommend additional sedation to ensure the process is as comfortable as possible. The actual length of this oral surgery will depend on the degree of difficulty of the extraction. Afterwards, you will be given plenty of advice on how to care for the extraction sites and how to deal with any side effects. What to Expect during Healing? It’s quite possible that the extraction sites may bleed for a while after surgery. It’s likely your dentist or oral surgeon will have supplied you with plenty of gauze pads that can be placed over the empty socket while you bite down firmly as the pressure will help to stop the bleeding. An alternative is to use a moist teabag as the tannins in tea help to form blood clots. If the bleeding continues or is very heavy, you should always contact your dental practice or your oral surgeon for more advice. Ideally, a blood clot will form in the empty socket which protects it and begins the healing process. It’s important to avoid dislodging this blood clot so don’t smoke and avoid any sucking actions such as drinking through a straw. Any facial swelling can be topically treated with an ice pack applied to the outside of your face during the first 24 hours. Place the ice pack onto your face for 20 minutes and then remove for another 20 minutes before repeating as necessary. After the first 24 hours, you may find it more comfortable to switch to a moist heat pack. Discomfort should be controlled with over-the-counter painkillers or you can always ask your dentist to prescribe something for you. Although you will need to avoid the extraction sites as they heal, it’s important to continue brushing your teeth but avoid using commercial mouthwashes as these could irritate the empty sockets. Is There Anything That Can Go Wrong during Wisdom Teeth Removal? This procedure is very routine so it’s unlikely that anything will go wrong during the surgical procedure. Afterward, it is possible that a tiny percentage of people who have had their wisdom teeth removed will develop a condition called dry socket during the healing process. This is where the blood clot protecting the empty socket somehow becomes dislodged, allowing the socket to become infected. You will soon know if you have this condition because the empty socket will begin to become uncomfortable and painful a couple of days after surgery. If you do develop a dry socket, then the empty socket will need to be cleaned and packed by your dentist to remove the infection. Dry socket isn’t serious but it can slow down healing. Most people will find healing is completely uneventful after having their wisdom teeth removed and after the first week or two, their mouth should feel reasonably comfortable around the extraction site. You will find your dentist can answer all your questions during your initial consultation for this oral surgery and of course you can always contact your dental practice with any concerns before, during or after your treatment.